Previous winner of a Massachusetts Cultural council passing it on: apprenticeships fellowship was Karol Lindquist. It is wonderful to hear that another basketmaker has received recognition and financial support for their basket art. 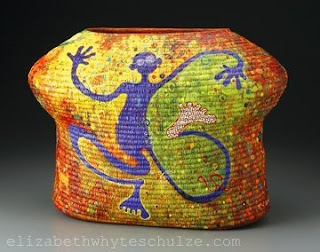 You can learn more about funding programs with an appeal to basket artists by visiting BasketMakers.com. You can learn more about Elizabeth by visiting her personal website.